These words were spoken by Markus Westerberg, author of The Golfer’s Sixth Sense, in a recent conversation with USGolfTV. How true these words are. We may curse the bunkers and downhill lies that screw up our game. But many of us are acutely aware that sometimes, the greatest obstacle we face on the golf course is ourselves. We know what a perfect swing looks and feels like, but our body won’t do it. We allow that skulled shot on the fifth hole to get in our heads as we approach the sixth tee. Our minds can make or break our scorecards . . . and getting a handle on our mental game takes more than deep breaths and visualization. That’s why Markus Westerberg has written The Golfer’s Sixth Sense. Westerberg’s approach to golf psychology moves beyond the typical discussion of thought management and delves into the subconscious. He argues that the key to improving your golf performance lies in learning to manipulate the subconscious mind. We recently had the opportunity to ask Westerberg about his book and philosophy so we could share his insights with you. Here is what we learned. Markus Westerberg is a golf coach at the Ljunghusen Golf Club in Sweden. 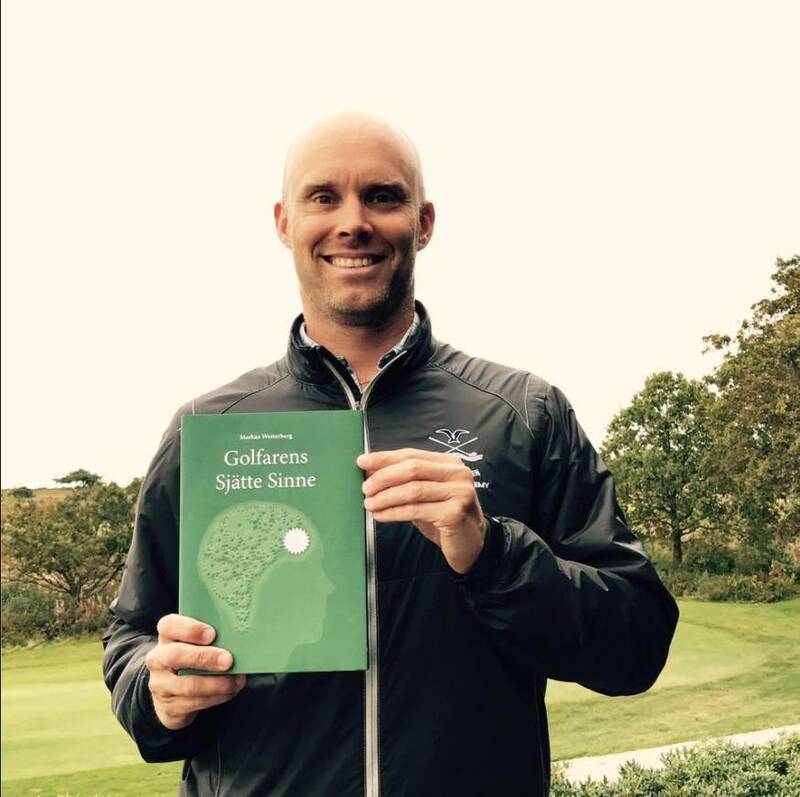 In addition to working with golfers, he also assists with the Swedish PGA’s educational program for emerging coaches. Suffice it to say, he is not only an expert golf trainer; he is also an expert of golf training. He understands how to approach learning, factoring in everything from physical skill to individual personality to human psychology. When Westerberg’s career as a touring pro came to an end, he earned a degree in psychology from Lund University. Combing his experience as a golfer and his knowledge of the human mind, he refined his philosophy on how our psychology influences the way we play. This knowledge is now available to everyone in his book, The Golfer’s Sixth Sense. Below is our interview with Markus at the 2018 PGA Merchandise Show in Orlando, where we discussed The Golfer’s Sixth Sense. What is The Golfer’s Sixth Sense? Lauded as “the new mental training,” The Golfer’s Sixth Sense explains the processes of the subconscious mind. From that foundational understanding, Westerberg then shares his tips for using your subconscious to your advantage. It’s that concept of the brain running on autopilot that makes Westerberg’s approach stand out among so many other philosophies on mental training. After all the work we do to control our thoughts, how can we manage the part of our brain that makes decisions without thinking? Westerberg would argue that there is, in fact, a way to use the subconscious mind to your benefit. You simply need to know how. For some, the philosophy behind The Golfer’s Sixth Sense might even be a relief. When you’ve collected loads of advice and given a lot of practice time to both your physical and mental game, it can be frustrating to still feel like something isn’t quite clicking. Westerberg would probably reassure you that the problem isn’t you. The problem is that you’ve been taught to approach a complex challenge with simplified solutions. There are so many factors that govern your game, including your swing, the weather, your emotions, thoughts, physical condition, and—of course—the subconscious mind. The Golfer’s Sixth Sense acknowledges the golfer as a whole, complex person. Westerberg’s philosophy helps you find true solutions to hidden psychological roadblocks. Interestingly, golfers are not the only ones who stand to benefit from Westerberg’s wisdom. Who is The Golfer’s Sixth Sense for? As you have probably guessed, The Golfer’s Sixth Sense is written first and foremost as a guide for golfers of all levels. In fact, we asked Westerberg to share one golf tip with our readers. Even that one golf-centric concept has relevance not only to golfers, but also to hockey players. That concept is the Lifting Reflex. The Lifting Reflex has such a significant influence on a golfer’s game that Westerberg has created several online videos on the subject. He also discusses this reflex in his book, and he shares several exercises for handling the Lifting Reflex in The Golfer’s Sixth Sense Practice Handbook (out later this year). The Lifting Reflex is a simple subconscious habit with the power to do major damage to your swing. It is essentially an instinct to think in terms of lifting the ball—an instinct that causes you to hit the turf behind the ball so you catch the ball on the upswing. As we’ve discussed at length here at USGolfTV, you actually want to hit the ball on the downswing and let the loft of your club do the work of lifting. Fortunately, awareness of the Lifting Reflex is a major step towards overcoming it. The Lifting Reflex is only one glimpse at the many ways your subconscious can sabotage your golf game. As much as we work to control our conscious thoughts, there is still a part of our brains running on autopilot. By learning what’s happening in the subconscious mind, we can take better steps to work around it. Markus Westerberg’s book, The Golfer’s Sixth Sense, is written to help golfers do exactly that. He explains what’s really going on in your mind, and he provides advice for making those mental processes work to your advantage. “We are constantly confronted with ourselves on the golf course” . . . and in life. Do you think The Golfer’s Sixth Sense could help you? Have you already read it? Have you had any breakthroughs in your mental game that you want to share? Join the discussion in the comments! We want to know if this information has been helpful to you, and we’re eager to answer any questions you might have.